Homemade sloppy joe’s is one of my go-to recipes. It is so easy to make, and everyone seems to love it! I haven’t found one person who didn’t rave over this. The recipe came to me from my cousin Ashley. When she lived in Indiana with our cousin Josh, they developed … and perfected … this delicious dish. So, when she moved to Florida and we got a place together, that is one of the first things she taught me. And I have been making it ever since. In fact, this is the first dish I cooked for PoppaNut after we said “I do.” And when I visited my sister-in-law and her family in Connecticut, I couldn’t resist sharing it again. 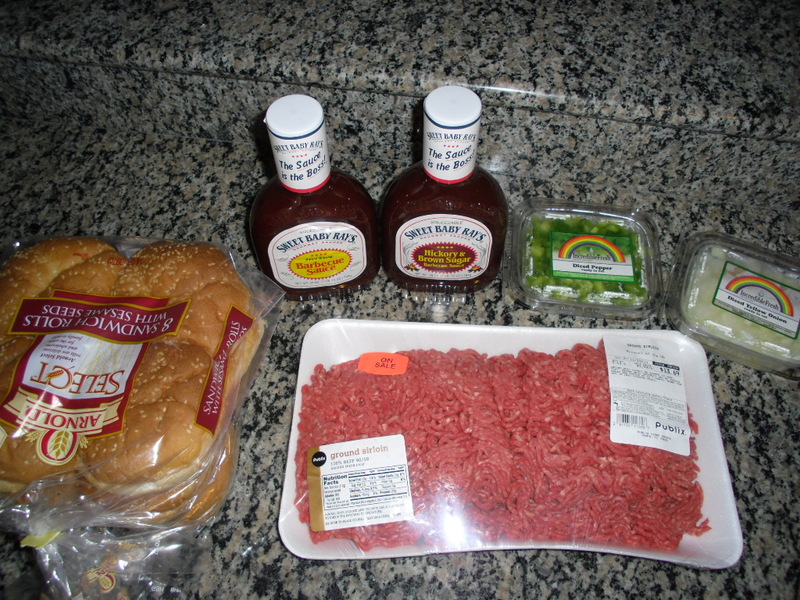 Ingredients: garlic, hamburger meat, hamburger buns, Sweet Baby Ray’s BBQ Sauce (Original and Hickory & Brown Sugar varieties), green peppers and onions. Directions: Place a spoonful of minced garlic into a large, deep pan and let it cook for a minute on high heat. Then, brown meat and drain. Add in peppers, onions and both sauces (add as much or as little as you want depending on how sloppy you like your sloppy joe’s). Place on warm to let the flavor cook together. I usually toast the buns in our toaster oven, then add the sloppy-joe mix and finish it off with some cheese. You can serve these open-faced or traditional. Make sure you have lots of napkins on hand because these are quite messy. I usually have to eat mine with a fork! And I wish I had a wonderful “done” photo to share. However, the delicious scent made all of us gobble them up before I could take one. And that’s life in a nutshell … making family recipes for dinner is a great way to show your family you love them.